Augmented Reality technology works by recognising trigger images, which may be in print, physical objects or real world locations, meaning that the applications for AR are essentially limitless. For example, when applied to your latest company brochure or catalogue, your customer is able to use your AR environment to view, research and order products. Alternatively, you may wish to include an AR environment as part of your exhibition stand at trade shows or events, ensuring that your stand catches the eye, remains in the memory, but most of all engages potential customers. 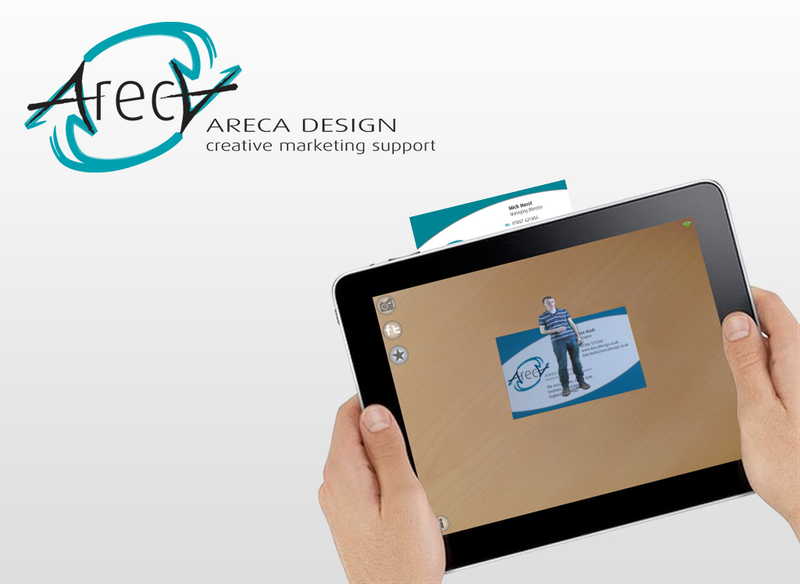 An Augmented Reality environment can even be applied to your existing business stationery or product packaging. Your customers now rely on their mobile devices like never before and so mobile AR is the perfect way to tie in all aspects of your marketing collateral and activities; from print advertising and exhibitions to product packaging, company brochures and websites. The world of AR is only as limited as your imagination. To find out how we can support you with Augmented Reality(AR) Apps solutions, please call 01386 570360 or leave your details here and we will be in touch.